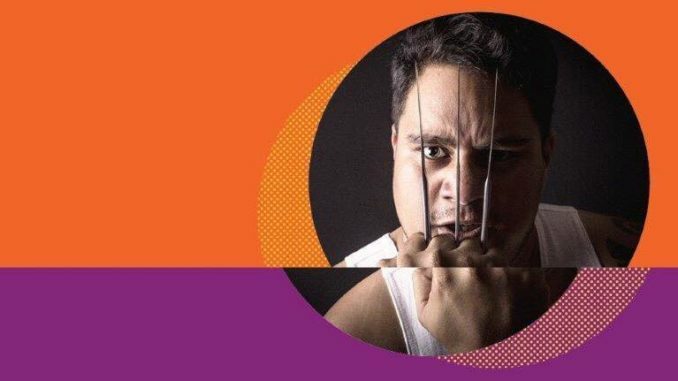 One of the more unique offerings at this year’s Cabaret festival, Rutene Spooner’s one-man extravaganza Super-HUGH-Man is a winning if somewhat scattershot look at music, theatre, machismo and pop culture, all refracted through his adoration for Hugh Jackman. 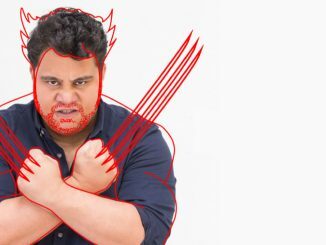 Amid the song, dance and comic book in-jokes, Spooner talks of his love for Jackman and his cinematic alter ego Wolverine, and how this character influenced his development as a performer in his own right. Directed by Jennifer Ward-Lealand, the transitions between Spooner-as-himself and as Jackman are relatively simple, with few costume or setting changes. Smartly, they don’t go overboard on set dressing, and leave some key parts of the mise-en-scene to the audience’s imagination. Against a bead curtain emblazoned with a likeness of Wolverine in his trademark cross-armed pose, Spooner moves rapidly from set piece to set piece. The focus is on Spooner, and he provides all the necessary spectacle. Pitched halfway between fan service and autobiography, it is a fun mix of music and comedy, with Spooner as goofy narrator of his transition from closeted Gisbourne theatre-nerd to his arrival as a song-and-dance man in Christchurch. At its heart, Super-HUGH-Man is a championing of undefined masculinity; our hero uses Jackman’s versatility as an action movie star and a Broadway showman as a guide to figuring out what it means to be a man, especially one who loves the arts. Can you be a member of a Kapa Haka group and a song-and-dance man? Super-HUGH-Man‘s answer is a glitzy, bombastic, emphatic ‘yes’. It’s a lovely message and particularly relevant to these times. The show is a lot of fun, but for the message to fully hit, the show needs to step more firmly out of Jackman’s shadow. While the balance is maintained fairly evenly between Spooner’s story and that of his idol, it skews too far as it heads into the home stretch. It becomes the Hugh Jackman show, and Spooner ends up a minor character in his own story. If you are a Jackman fan, and have a knowledge of Wolverine, you will be in for a good time. But if you are not one of the converted, its charms may be lost on you. Super-HUGH-Man plays at The Basement until 23 September.